Are you ready to experience 3D technologies? 3DX, is an after-school educational program that offers students and teachers learninig opportunities about 3D printing and other open source technologies. Students learn the design, development, and programming processes of how to create your own 3D technologies. Students will learn how to use the 3D Literacy® Maker Stations to create new 3D projects. 3DX classes provide weekly exercises using a variety of 3D CAD design software, 3D printers and other machines to create physical parts for electrical/mechanical components that will be programmed to interact with the 3D environment. Successful completion of the classes and rubric awards 3D Literacy® Certificates. Check out the highlights from 3DX Arduino Level 1 – Fall 2016 video below. 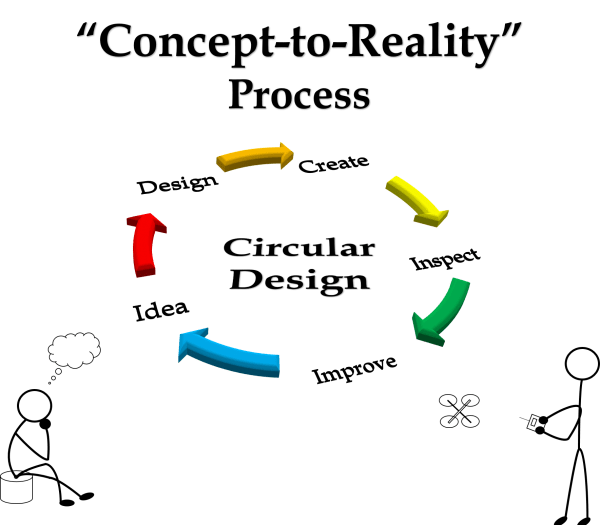 Students will utilize the Concept-to-Reality Process when approaching technical problems throughout the course. Trial and error will be encouraged and independent problem solving skills will be strengthened and tested. 3DX is geared on teaching students not only to learn about technology, but how to push it forward through experimentation. 3DX students will learn how to use the 3D Literacy® Maker Stations to explore a variety of SMART technologies and tools including open source, hardware and software that will enable them to think in another dimension! This includes 3D CAD designing to create components for the project, G-Code programming with 3D printing software and operating 3D printers to create the parts, basic wiring and assembly along with introductory Arduino programming. By completing many small projects using a variety of open source technologies students will gain a foundation of knowledge and skills that fosters creativity and encourages innovative problem solving. 3DX is designed for students to learn how to create their own 3D printed projects in rapid succession. Week after week they will be asked to design, print, and program a new project thus practicing and implementing the “Concept-to-Reality” process. Select the correct 3DX class by determining the students grade level and 3DX experience level. There are different sections for grades 5th-6th, 7th-8th, and high school students. There is also a 3DX class for Teachers and Adults. You must have completed Level 1 before signing up for Level 2. Students will have to provide their own computer or compatible tablet.